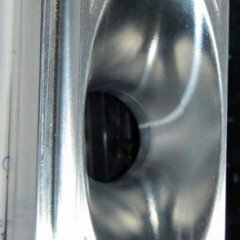 Now that I have new mid drivers coming (thanks Justinsweber), I was wondering what everyone thought about tweeters. I'm talking 1 inch exit drivers. Is Beyma still making the best sounding tweeter or do people have another preference? Inquiring minds want to know. I'm currently using Selenium 220TI with good results. I also have a pair of APT-50's laying around. Any and all comments welcome! 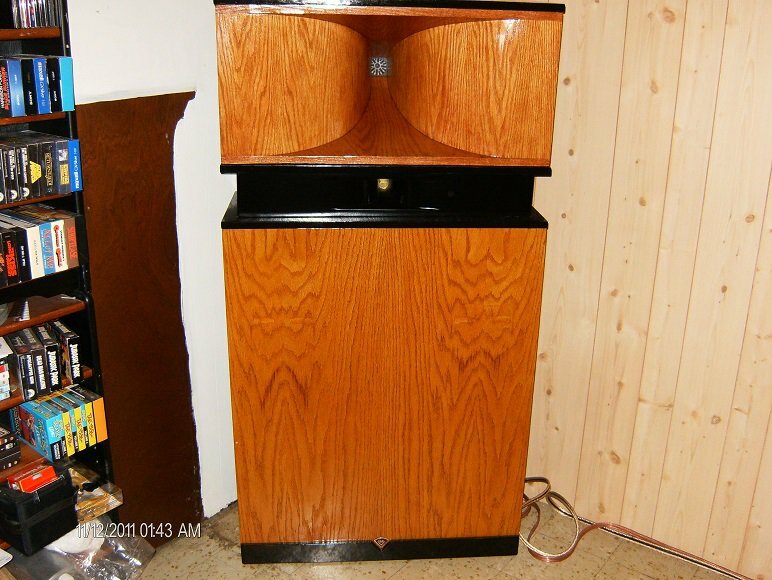 Great looking speaker. I think Claude has done some testing on several compression drivers. Course this is best measuring in a certain horn. Have not seen all the ones tested. I have response curves for APT-50, K-77,and B&C DE-120. The 120 looked the best to my eyes. All three looked close except for high frequency roll off. Have not seen the B&C DE-110, the Faital drivers, or Beyma response curves. The horn they are mounted on has a larger impact on response. What are you using right now Kevin? I cant speak for all of the ones mentioned, but I do have the Beyma CP-25 paired up with that same BMS driver you are using (slightly much different mid horn) in a pair of Belles, and they sound very nice together (IMO). I would definitely think either of the two you have would work well. What x over are you using? Are these curves you ran? If so, can you post them here? If they are published curves, can you give us links, or info on where to find them? I grabbed them off this site. Think Dave A posted most. I will have to look for them. Also think Claude ran some of the tests. using Selenium 220ti, titanium diaphragm, 1 inch exit. You also claim that the best sound you ever heard was from a "Bose radio thingy" in a different thread, so I don't know if I should believe you. The crossover I am using allows for dropping the mid or tweeter be incremental decibels which may help balance the new parts out. Claude ran all the tests. His conclusions were the DE120 is best for the K-77 dropins and the DE10 is the best for K-79 etal dropins. I am sure they would work on other lenses also if you are building or willing to cut up a motorboard. His curves indicated the DE10 is better than the DE120 and listening to them all here I think so to. Space should not be a problem if you are putting them on a horn as big as the one in the picture. 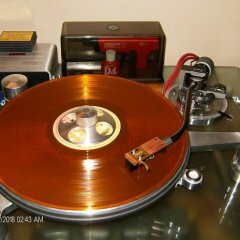 I had an Eminence N151M-8 ring driver that sounded terrible on the larger MAHL's but when you put it on a much larger horn lens it was very nice. 108db efficient though if I remember right so in many cases you will have to stick an L-Pad on there at the least to control sibilance. These were actually to hot for my MCM 1900 and until I adjusted them with an L-Pad real unfriendly. Bob's APT50 is the one to get if you go that route as the one from Eminence today is liked by no one. Claude ran all the tests. His conclusions were the DE120 is best for the K-77 dropins and the DE10 is the best for K-79 etal dropins. So does the DE10 just bolt on to the K-79 lens? And is the stock crossover good to go with this? Just how much better is this pairing? ...and where’s those curves alluded to earlier? Show us your curves! Lol! K79 horn has a small compression cap designed to fit over top of the diaphragm so you would need to remove that (that would not be difficult to do). I have no idea if a DE10 has the same bolt pattern you would need to check that. I would not bet on it but it might so it could be an easy conversion but you might not get a good match and then the horn would be useless back on a K79 driver. You want the exit diametre of a driver to match the entrance diametre of the horn. On top of that you will get an even better match if the exit angle of the driver and the entrance angle of the horn match each other. If you could go to a larger tweeter horn you could make for a better match with your mid horn but if you simply want a retro upgrade keeping the same tweeter horn then maybe you can make the K79 horn work and it is a good sounding horn so why not check it out and see. K77, 4.5K Hz to 17K Hz, with AK4, about 13 feet away, slightly off-axis (tweeter lines cross about 6 feet in front of listening -- and microphone -- position). Divisions on graph are 5 dB apart. Just swapped out CT-120’s (DE120’s) for the K-77’s in my LSI Splits. First impression wasn’t as overwhelming as I expected from everything I have read. Thought my ears would sizzle to a crisp with the treble knob dialed up all the way, was hoping I would finally be able to listen to my tunes without tone controls. Like some kind of audiophile, lol! THEN I swapped ONE K-77 back into a top hat and did a mono A/B comparison. I have no choice but to stick with the CT-120’s here. What is the rolloff of the horn and it's dispersion above 3 Khz??. My bet would be crossing to tweeter at 4 Khz, since I have one similar to it. I don't know what midrange you are using or it's efficiency, which should be matched. What Xovers do you have. Your question is almost like asking what is the best amplifier. More details. I don't know the roll off of the horn, since I made it myself and have no measuring equipment. I am currently using universal type crossovers with 400/4500 crossover points, but I am getting a pair made by DeanG with 400/6000 crossover points, because I'm moving my stereo to a smaller listening area. I have read that it takes a little more distance for a Khorn to blend with a 4500 crossover. I am currently running BMS 4592 mid drivers. Oh, by the way, single ended tube amps are the best.